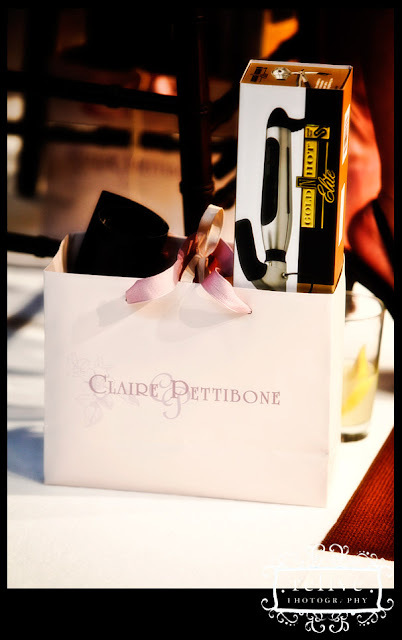 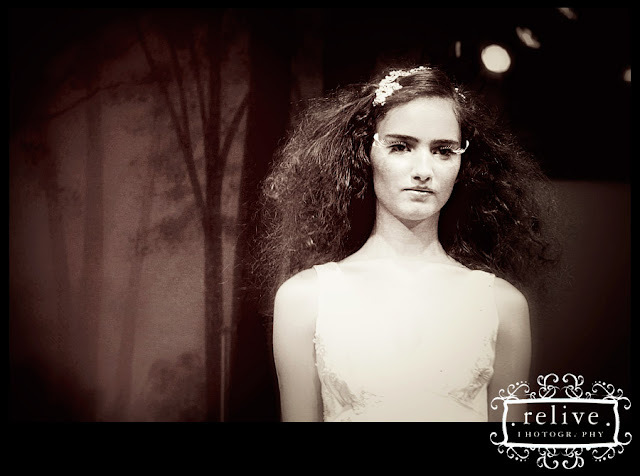 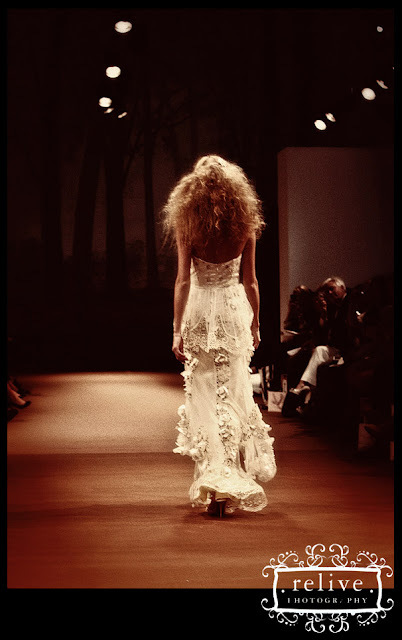 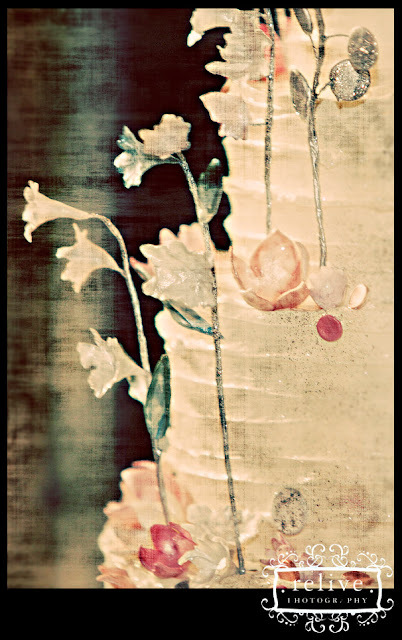 Claire Pettibone Couture Bridal and introducing Enchanted Atelier Couture Accessories for Claire Pettibone. 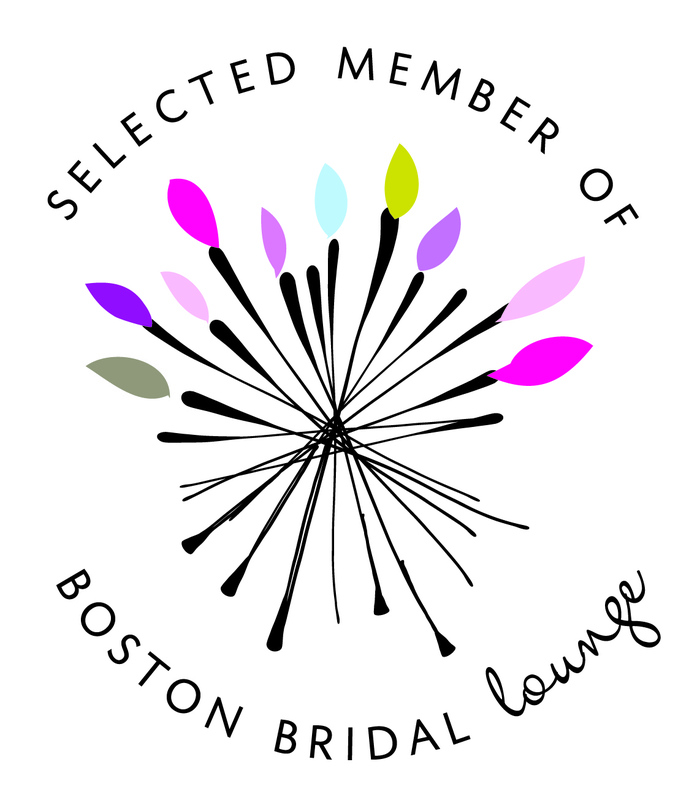 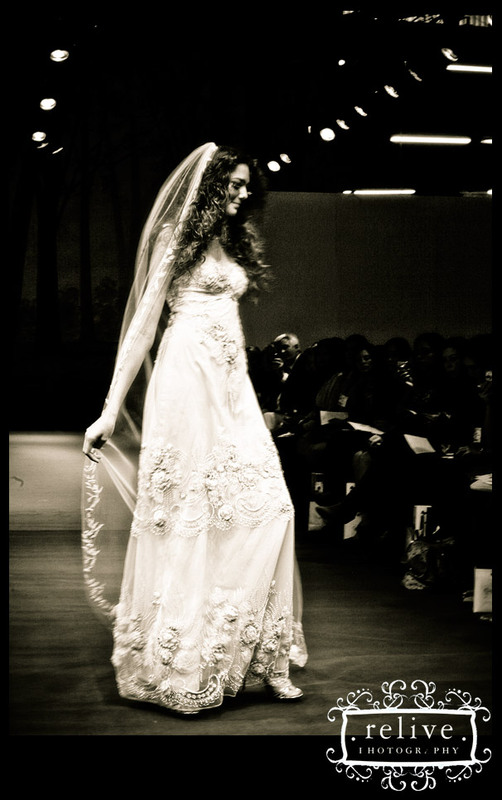 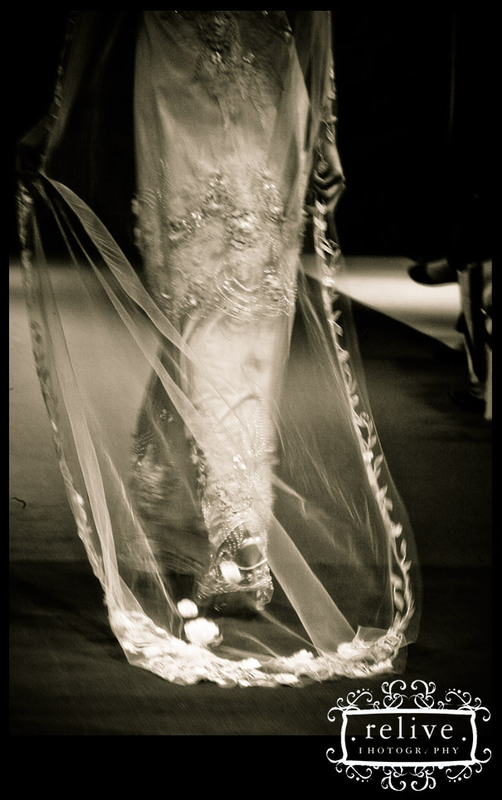 Collections of Bridal Gowns, Couture Veils and Lingerie. 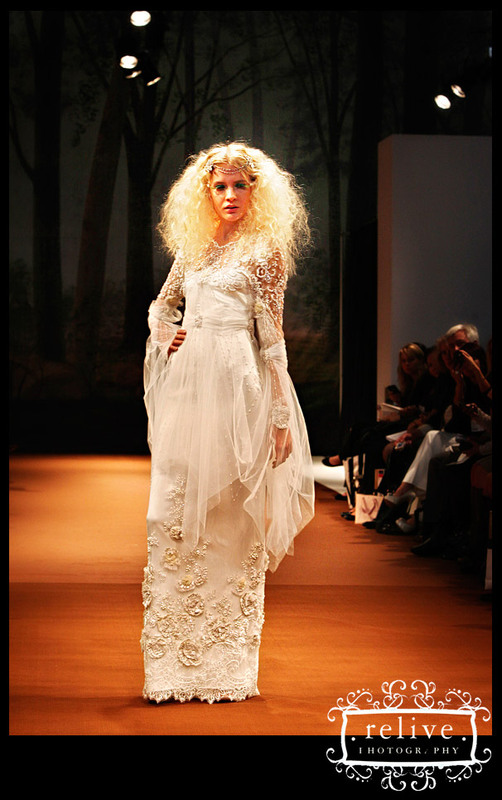 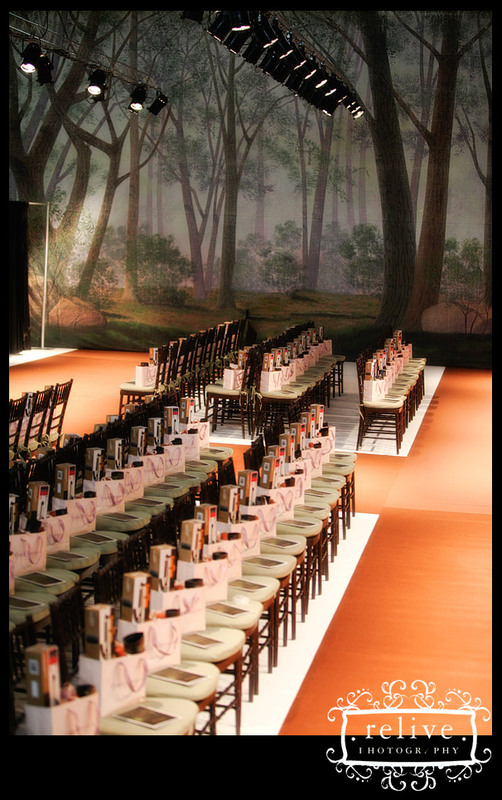 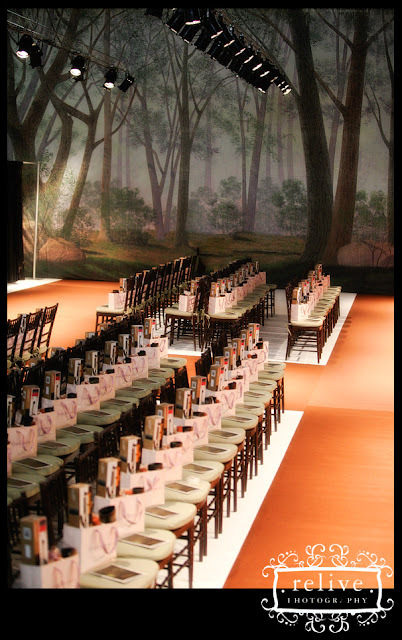 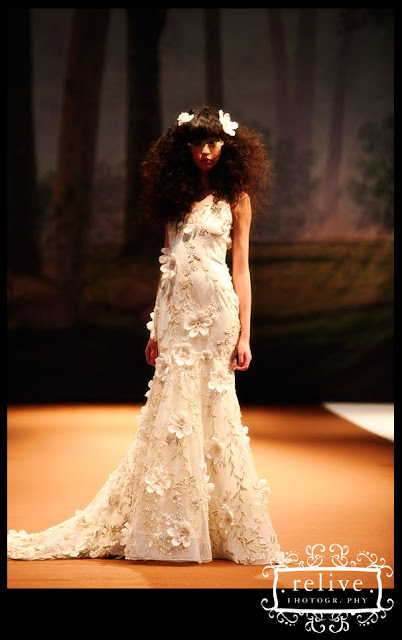 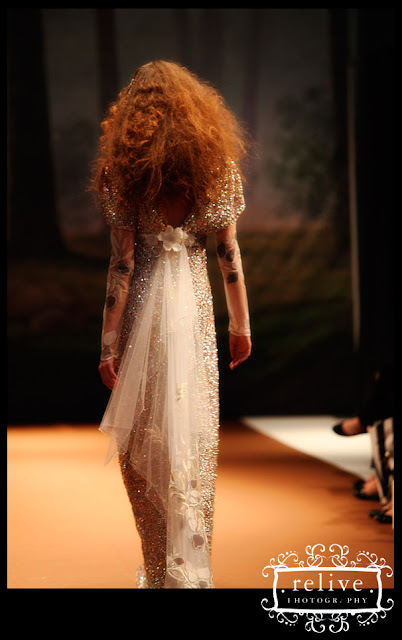 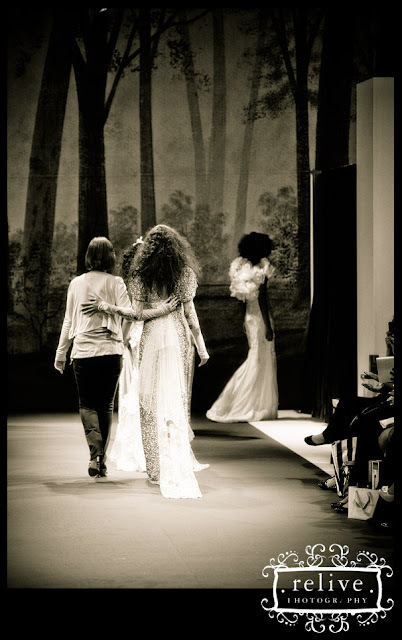 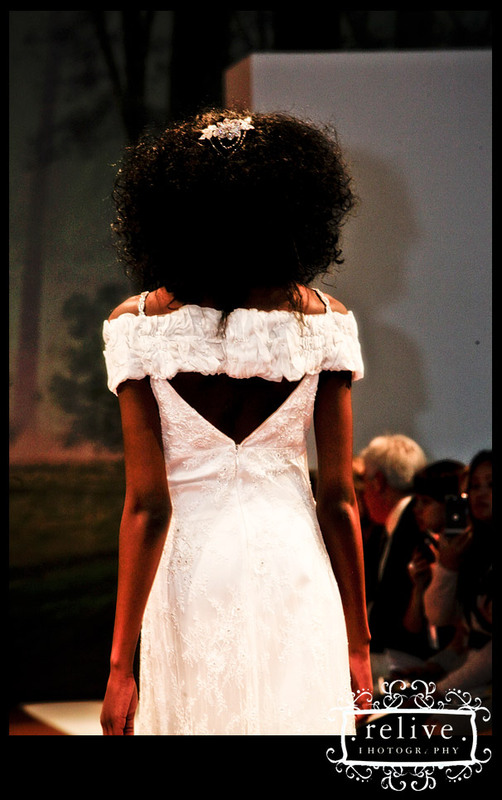 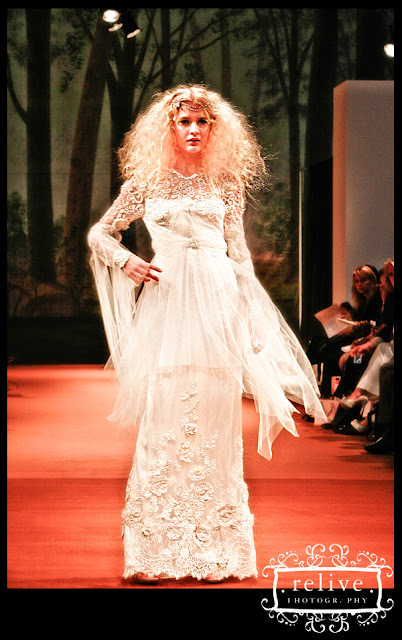 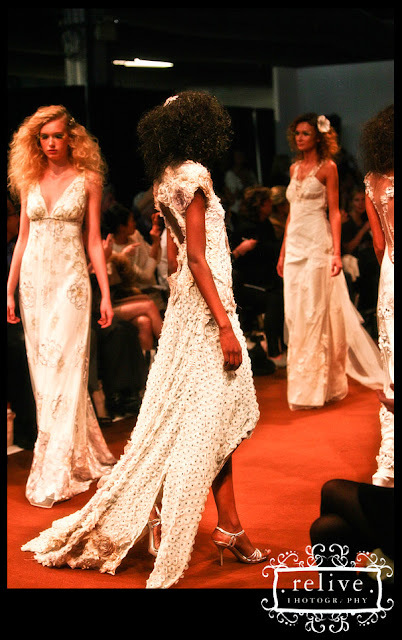 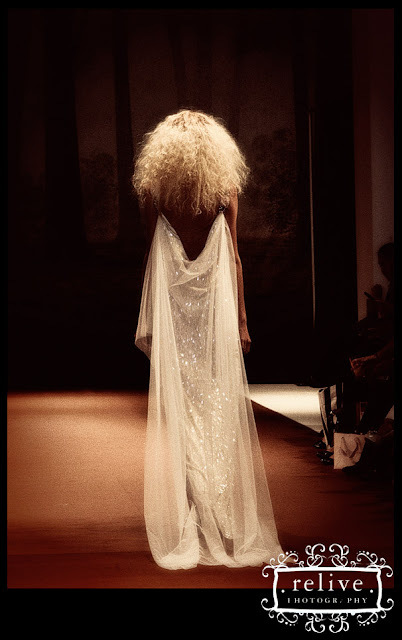 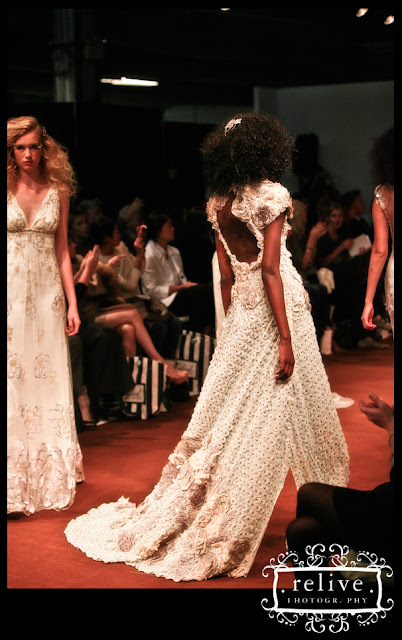 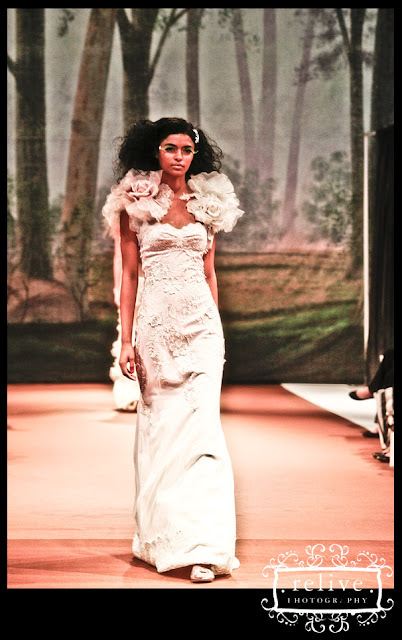 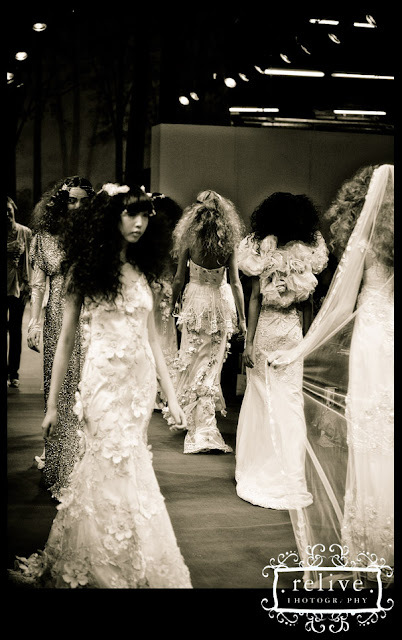 Bridal Gowns, Her fall 2011 collection is called “Spirit of the Night”, and the dresses were showcased against a backdrop inspired by a 1930s picture book called The Fairy Circus. 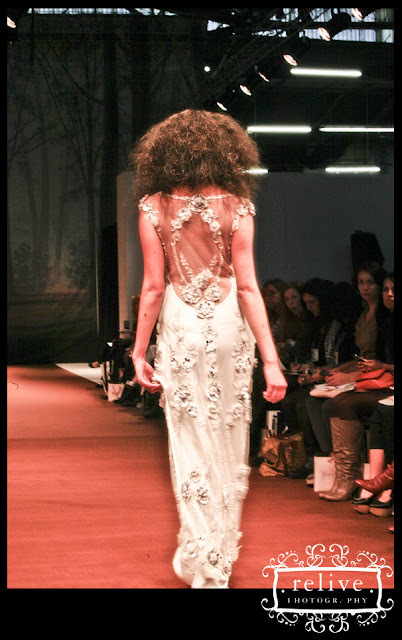 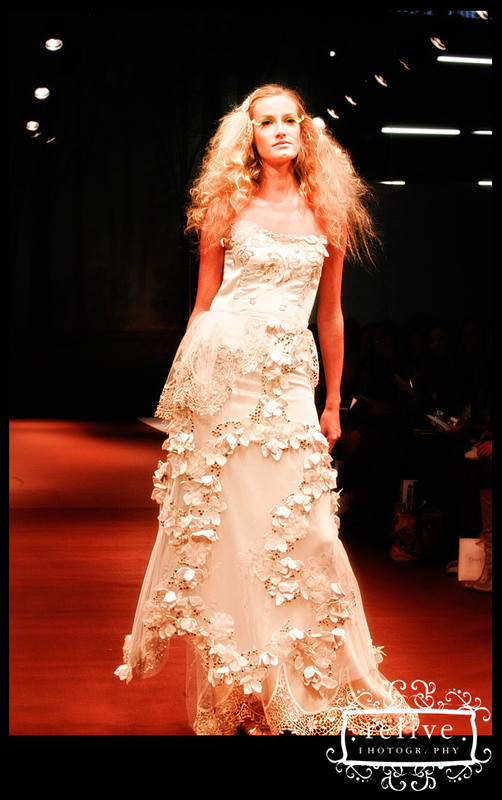 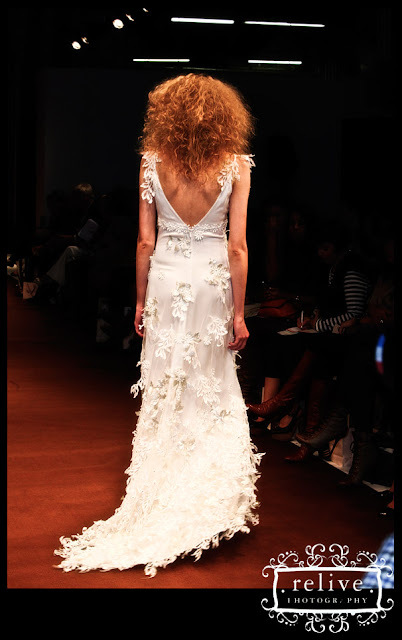 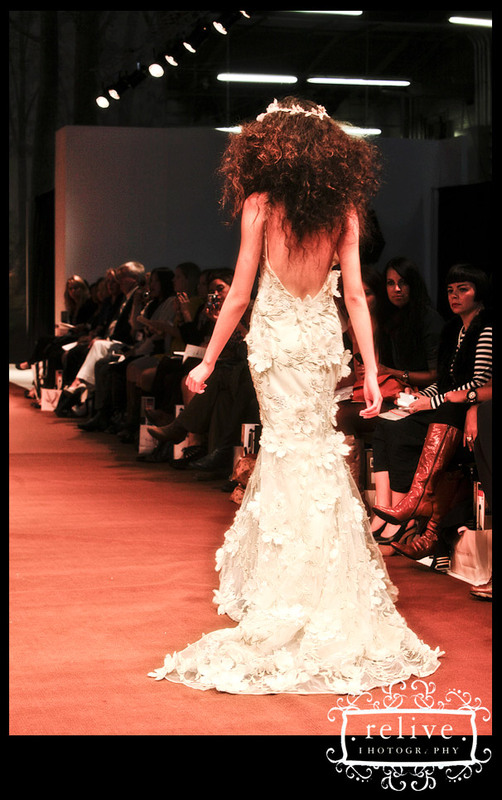 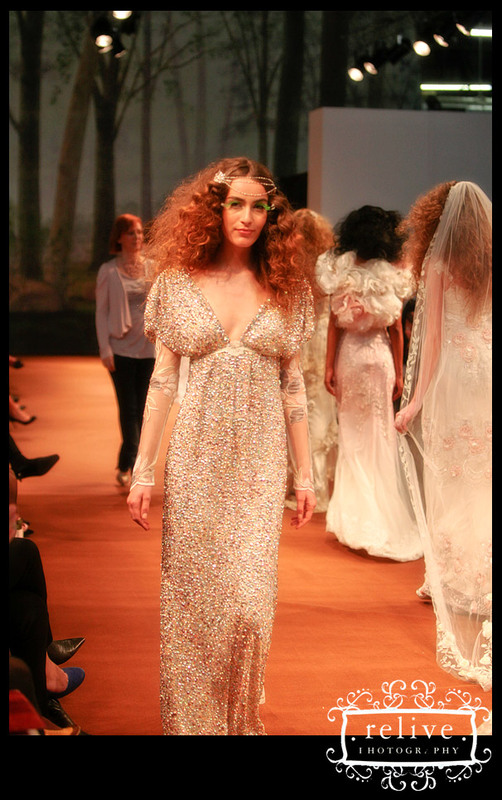 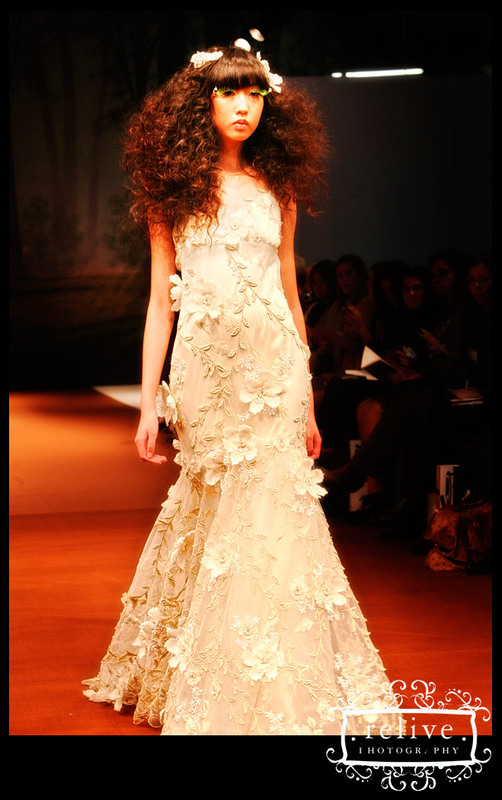 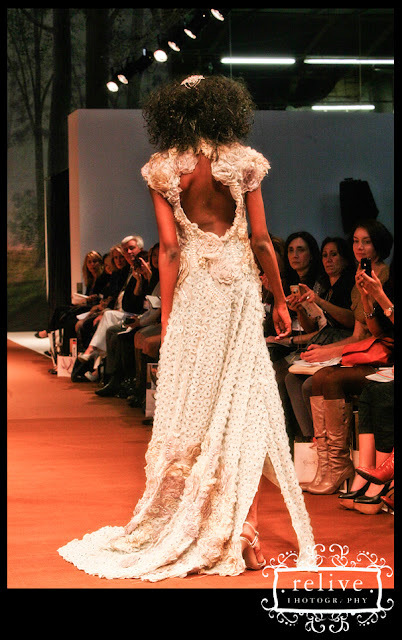 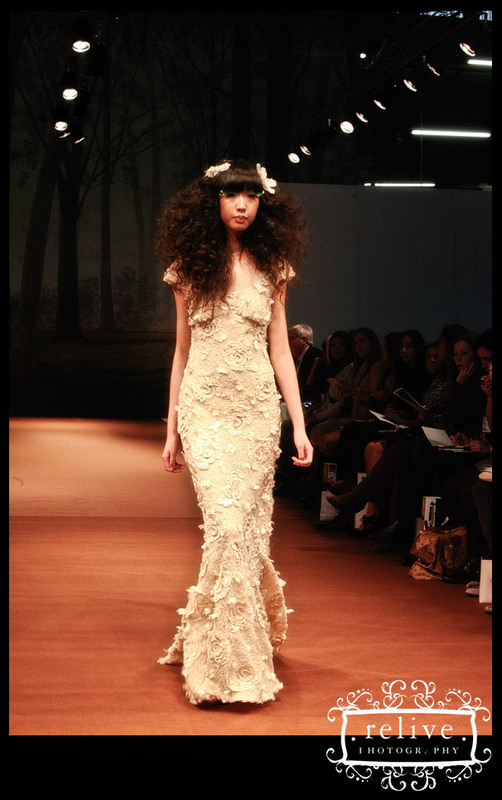 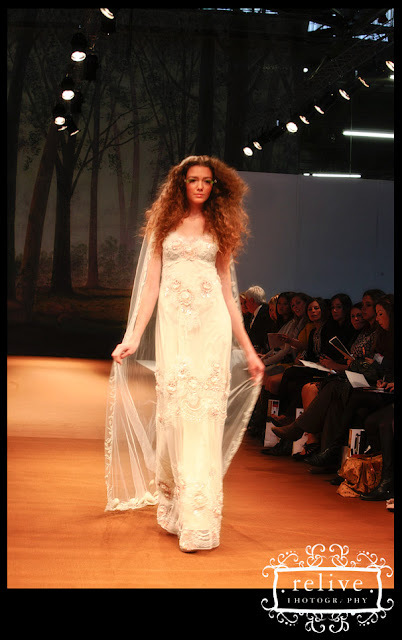 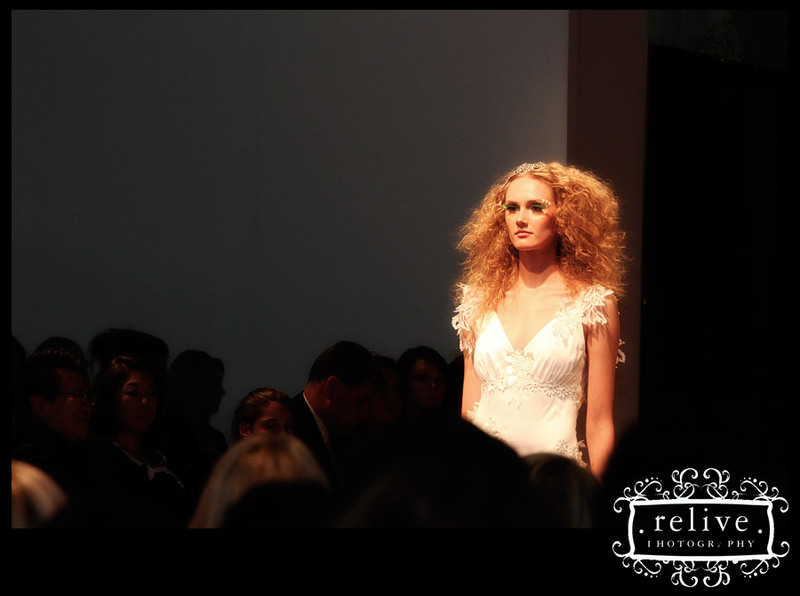 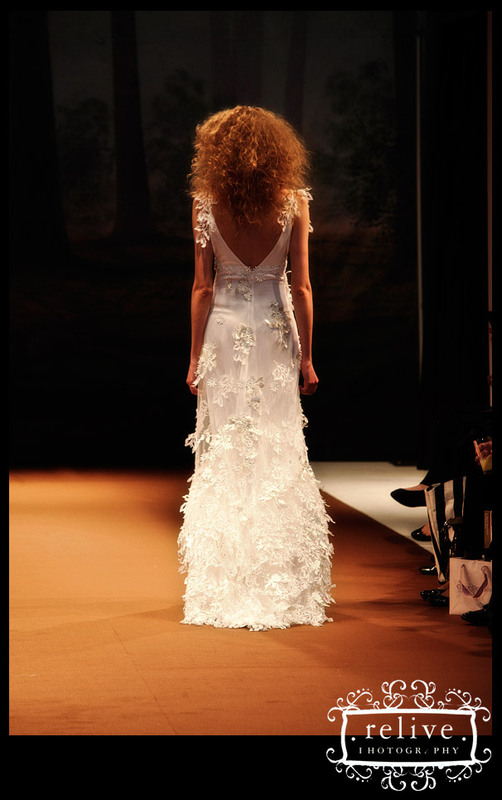 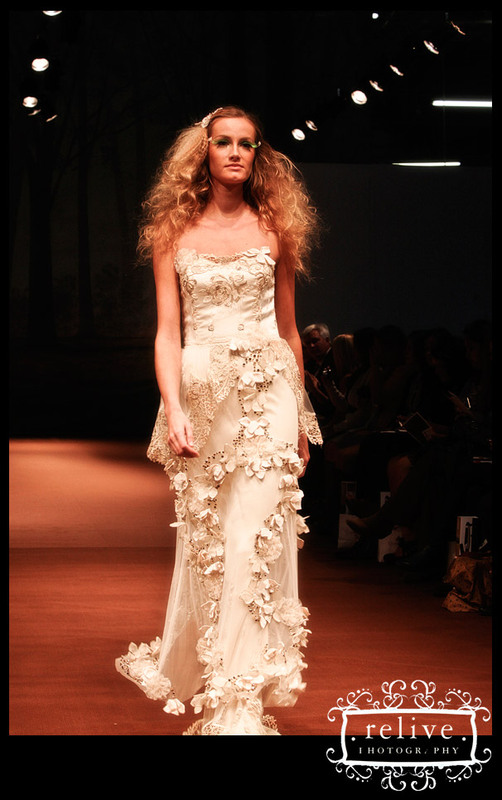 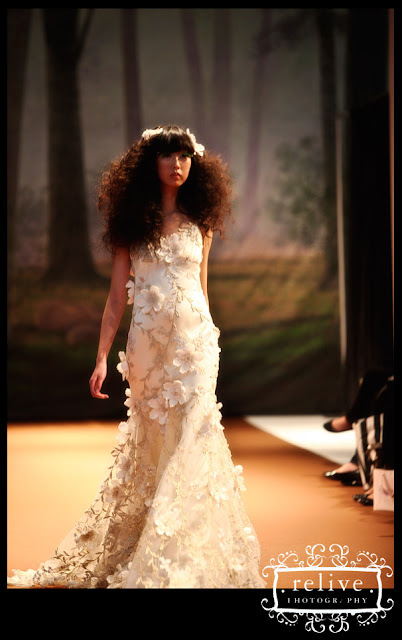 Each stunning gown feature a modernized fairy aesthetic, carefully redesigned to fit a bride. There was lots of shimmer and beading, which was applied thoughtfully and deliberately, as well as glittering crystals to mimic dewdrops. 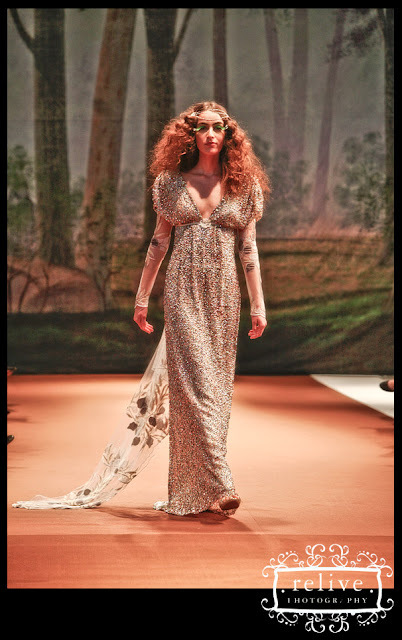 Several dresses fluttering sleeves that evoke the feel of gossamer fairy wings, but I like that they don’t look like something you unearthed at a costume shop. 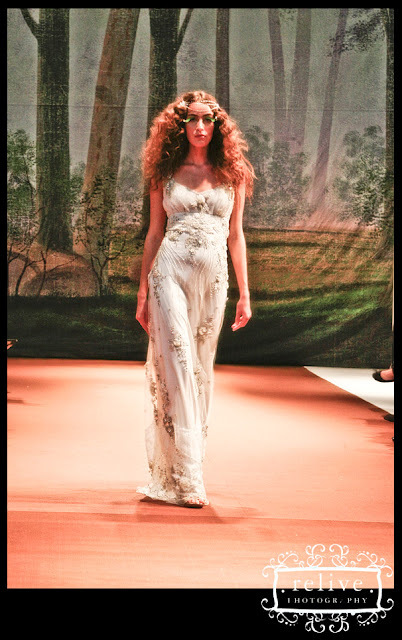 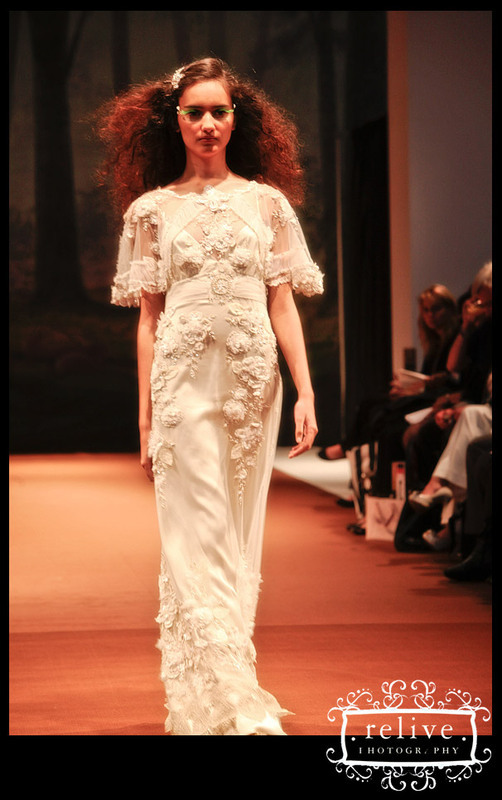 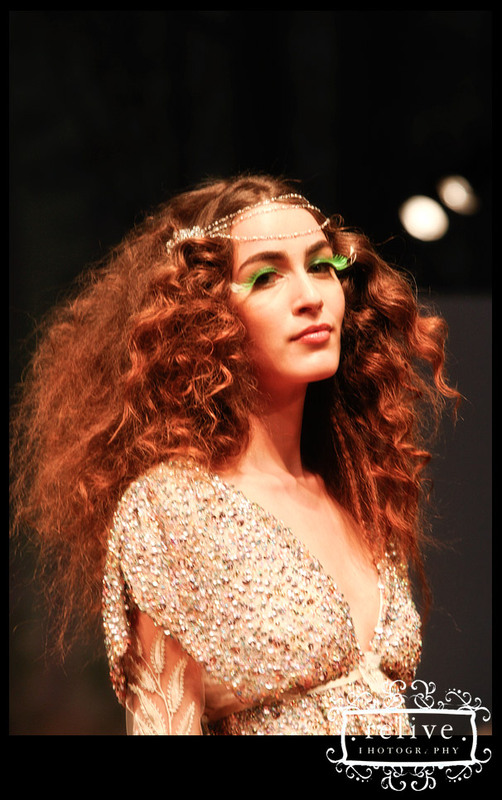 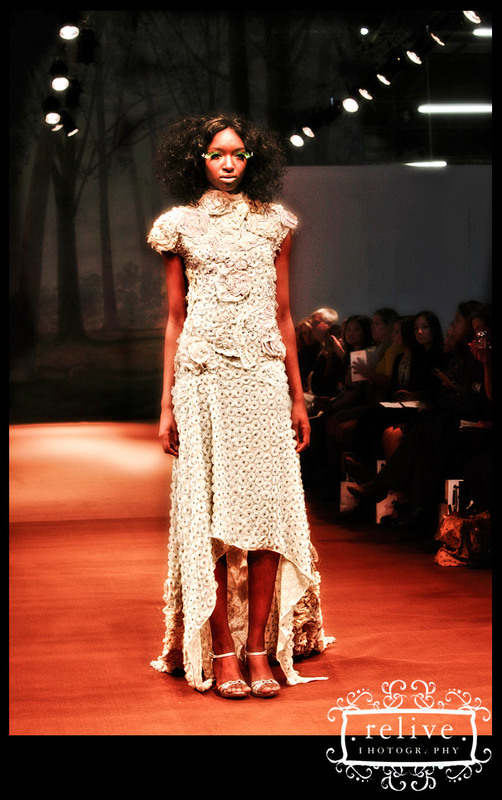 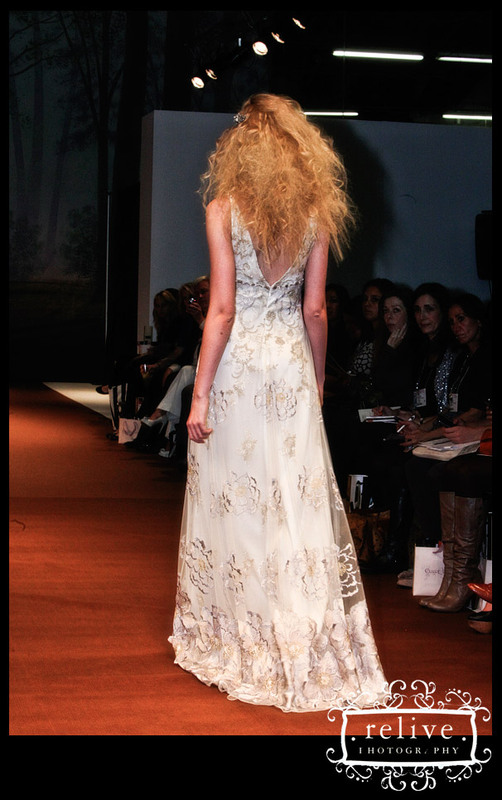 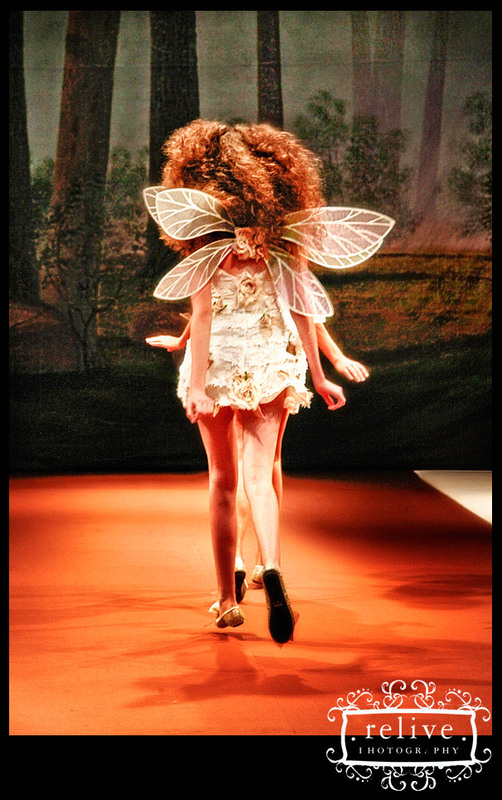 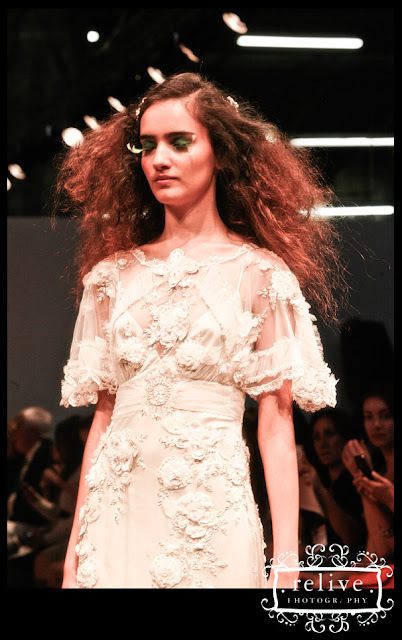 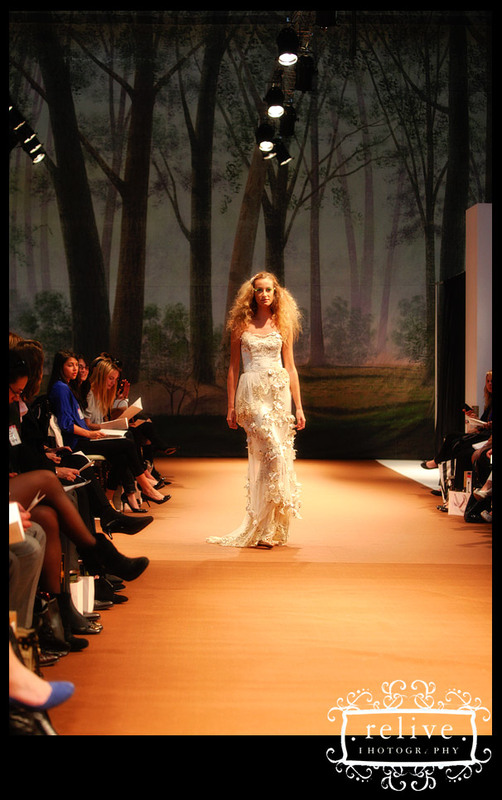 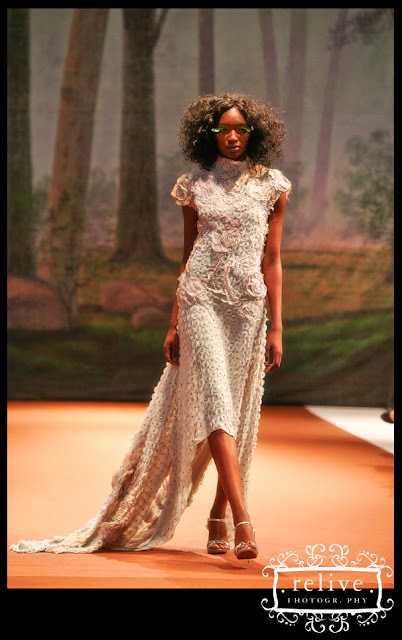 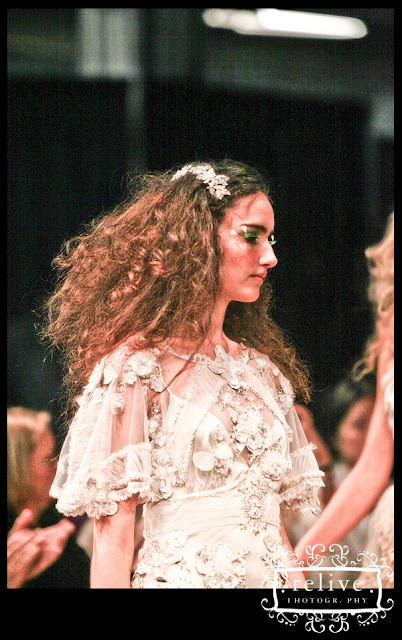 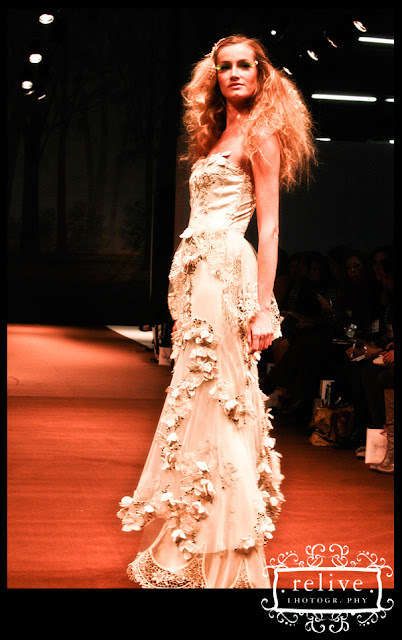 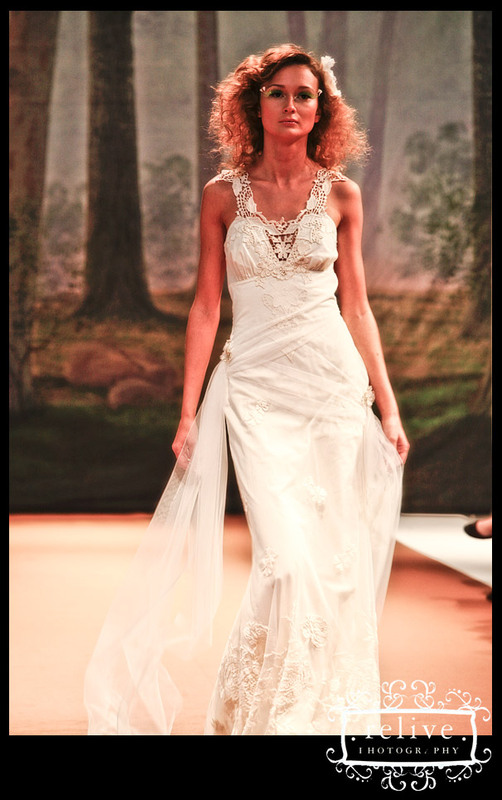 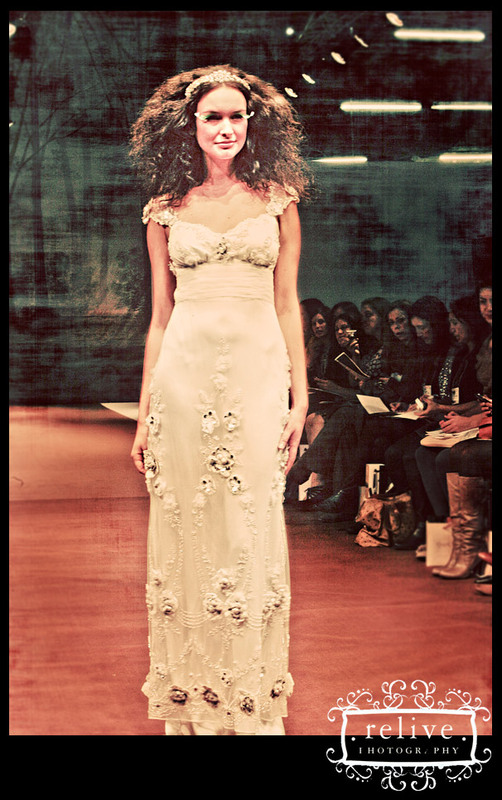 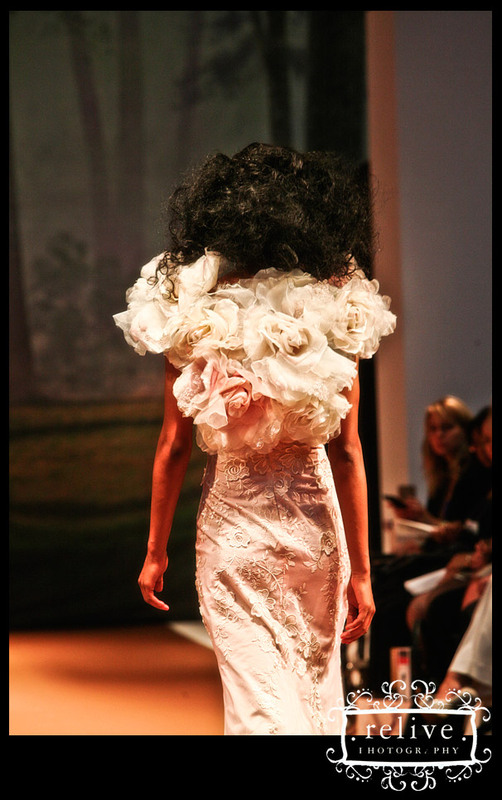 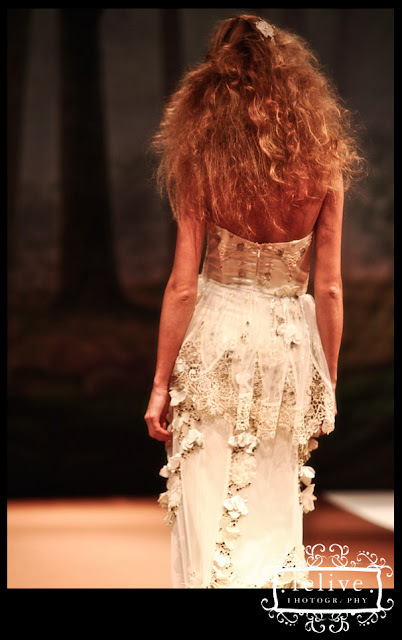 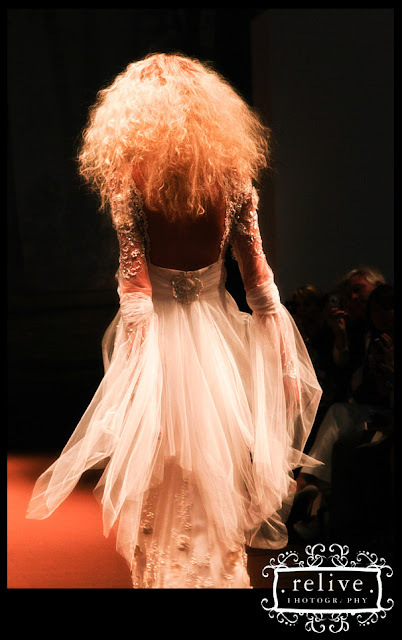 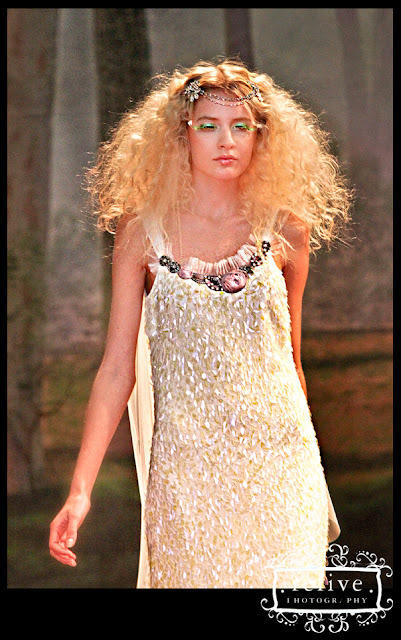 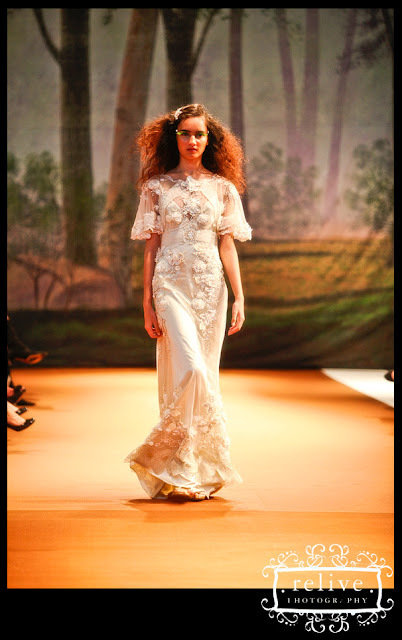 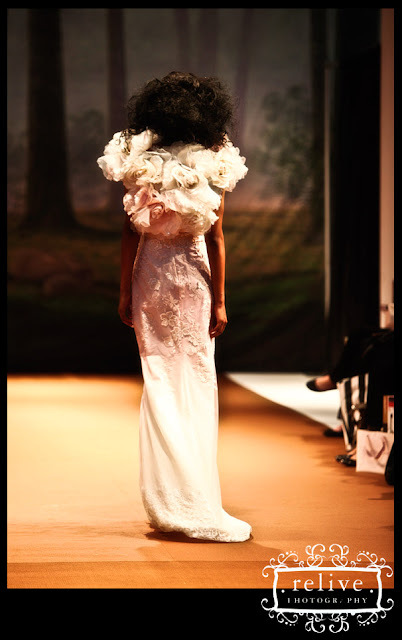 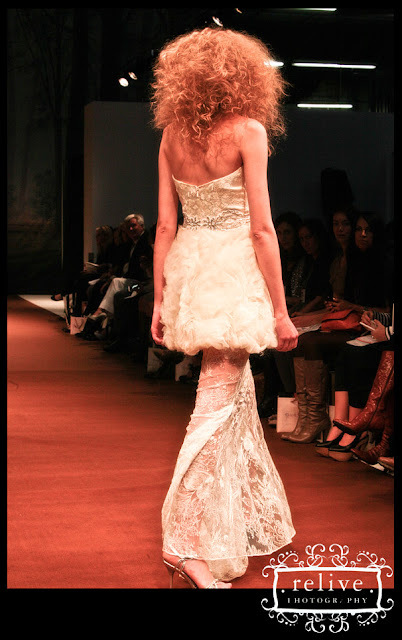 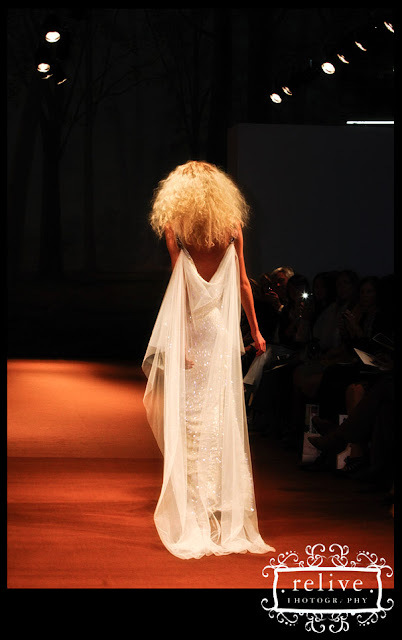 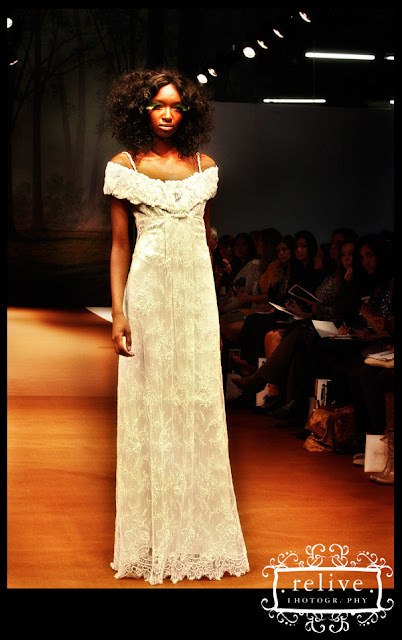 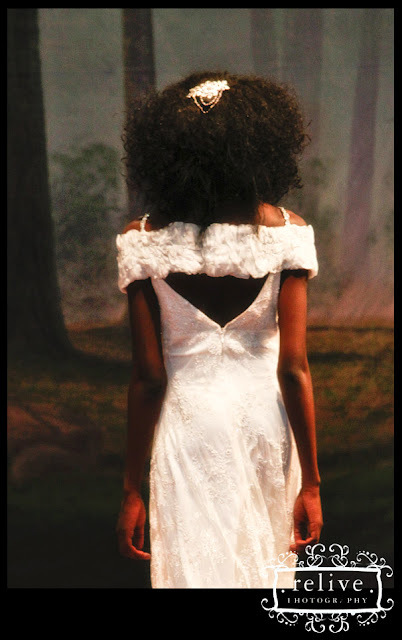 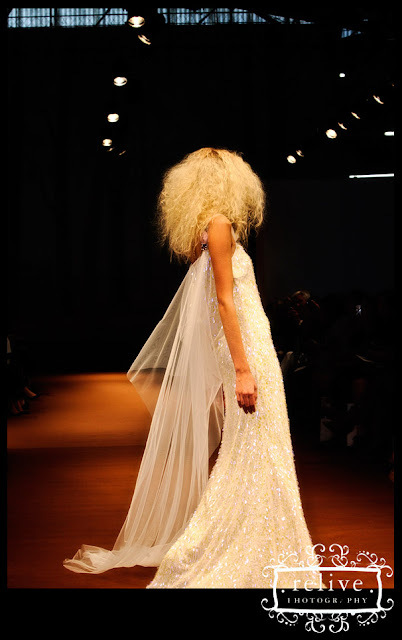 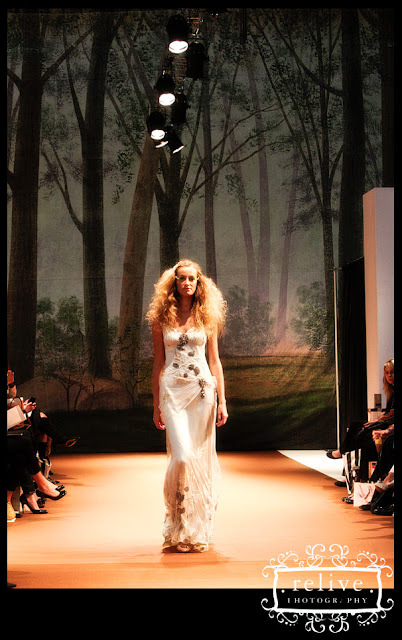 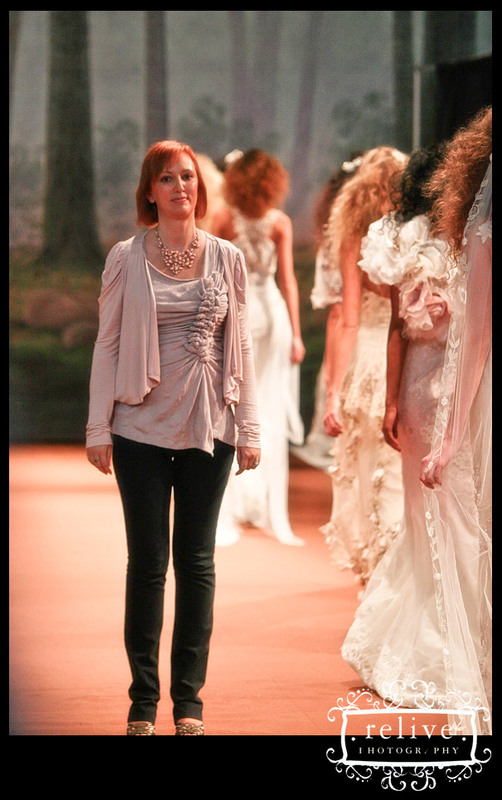 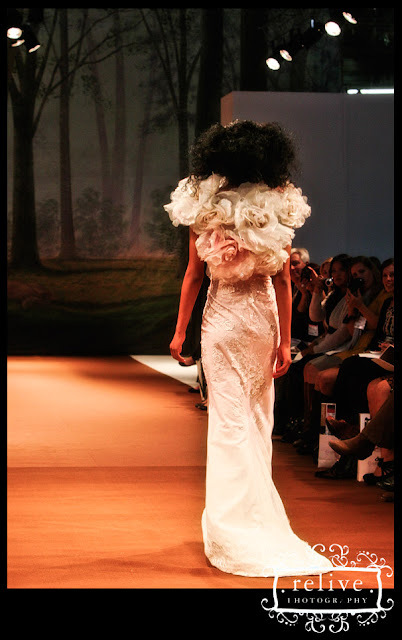 Overall, Spirit of the Night was successful at creating dresses inspired by the ethereal images of nature and fantasy. 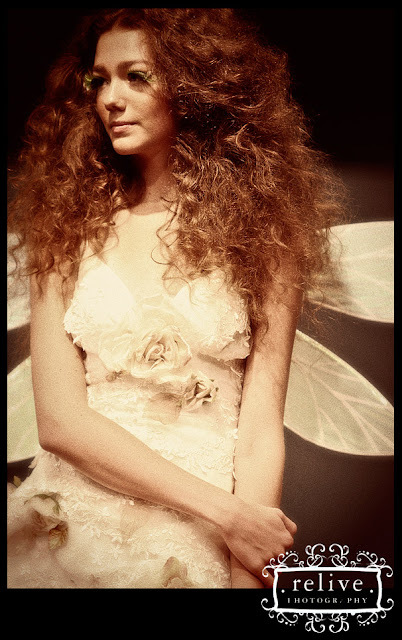 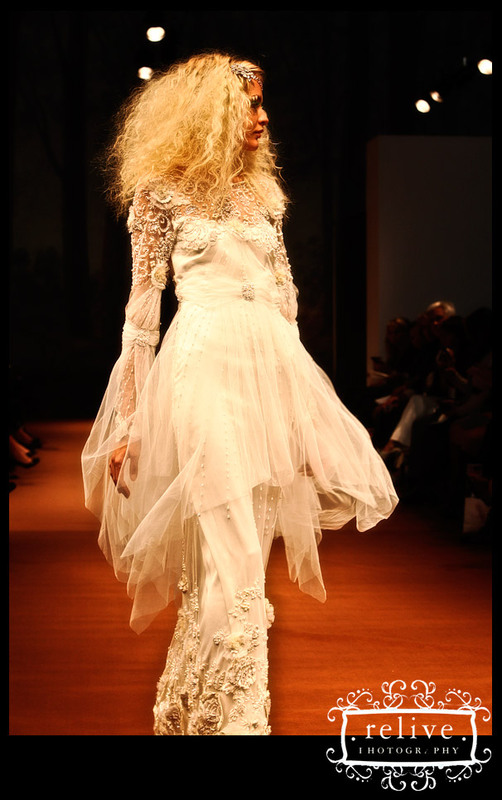 Romantic brides who want a fairytale-inspired look on their big day should not pass this collection up. 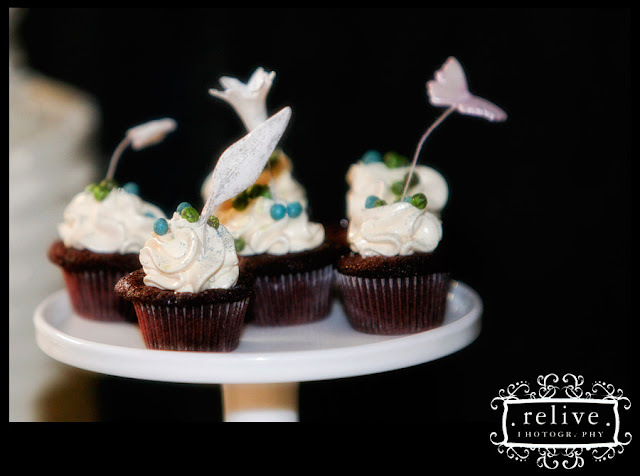 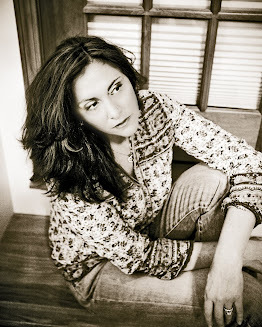 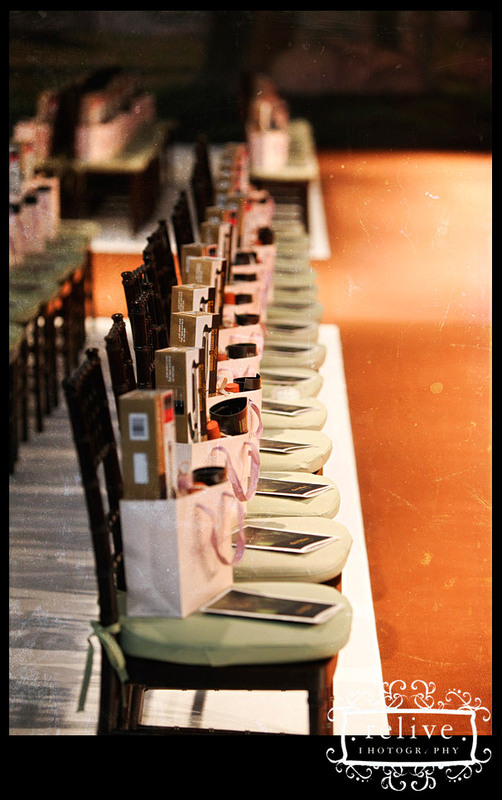 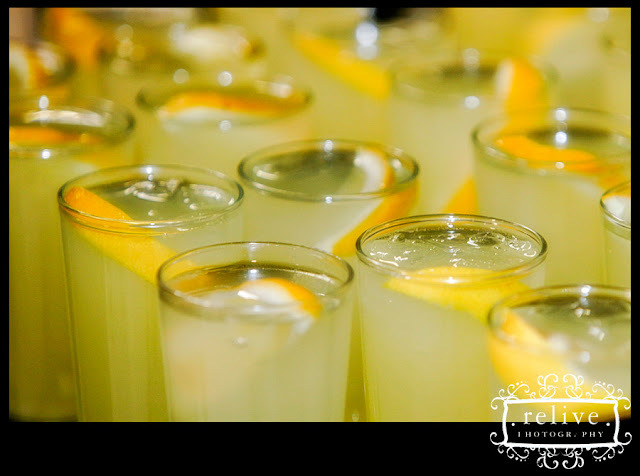 I want to thank Wendy of Cheesecake Media for including me in the photography for the extroadinary event.